There is a weekend in our village that marks the proper start of spring. It doesn’t have a formal date and it isn’t written on any calendar or in any diary. It’s the weekend when all the inhabitants start to emerge and life begins again. During the winter it’s dark and it’s cold. If you meet people it’s usually only fleeting as you hurry by. But this weekend we’ve all been out – mowing lawns, digging gardens, walking to the park or just chatting over the fence. The daffodils are out, the primroses are in flower and the blossom is thick on the blackthorn, but this awakening in the village means that spring is truly here. I’ve been looking after Scarlett today so there was no badger watching, but the beautiful weather (and the longer evening now the clocks have gone forward) was too good to waste. It was out with the backpack baby carrier and off to the woods. I did have a proper aim for this. I’m still trying to locate the badger setts that neighbour the main one I watch. But it wasn’t all serious. It’s the first day for months that was warm enough to spend some time outside, so I packed a picnic for Scarlett’s tea so that we could have a little adventure without having to dash back home. And an adventure is what we had. I walked almost to the next village and back, up hills and down dales, and let me tell you – well-designed though the backpack carrier is – it gets a bit heavy after a few miles. Did I find any badgers? Yes and no. The badgers at the main sett seem to be doing well, with more holes active than the last time I checked. The spoil heaps outside the holes told their own stories. Some were fresh soil, meaning that they were new excavations. Some were soil mixed with the remains of leaves and grass. 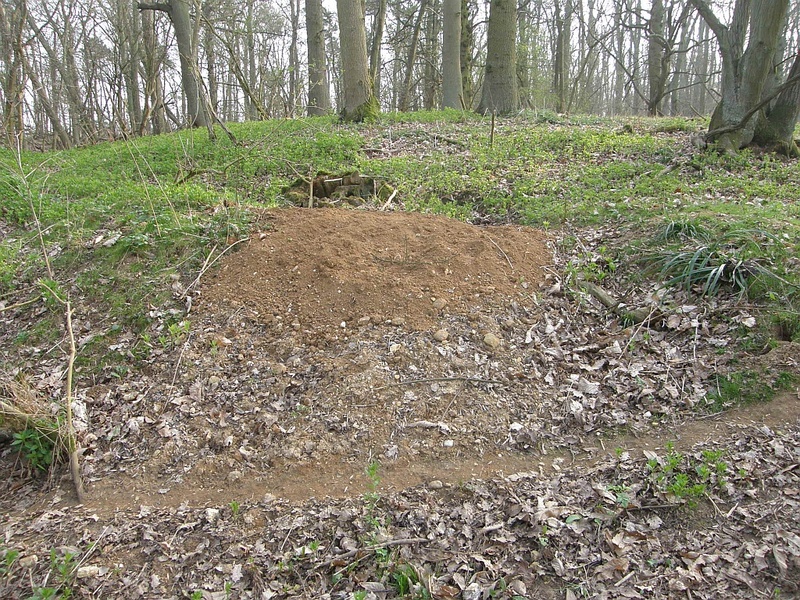 This showed that the badgers were clearing out old holes, complete with the remnants of bedding. Let’s hope there are cubs this year. As to other setts, I didn’t find any. I found loads of badger sign – dung pits, hundreds of tracks and even paths, but I couldn’t seem to find their focus. I’ll need to sit and look at the map for a while and plot everything. It’s good to know there are plenty of badgers out there, but slightly frustrating that I couldn’t locate the sett. Only slightly frustrating. I had a great walk. 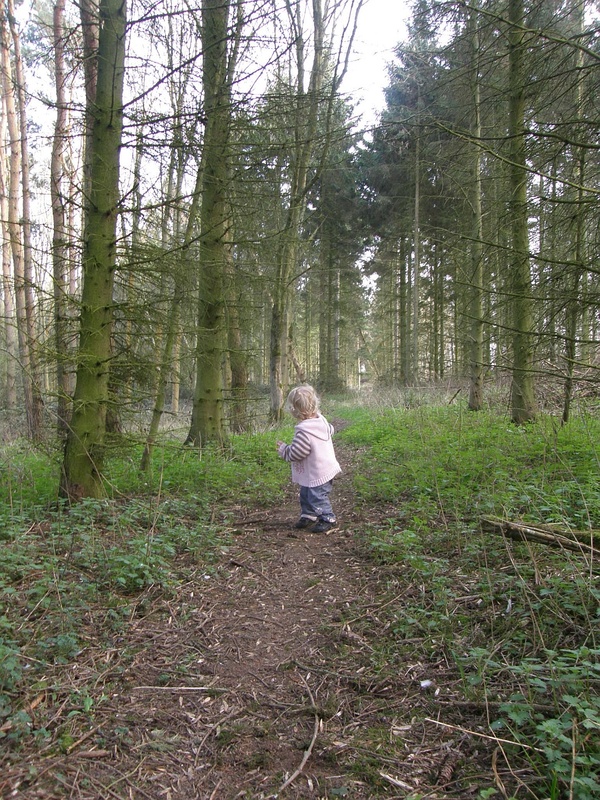 Scarlett loved to see the lambs playing in the fields, and we had a jolly nice picnic sitting in the woods. You know, I think it was a perfect way to spend the afternoon.